SHW is managing agent for Newhall and is widely experienced in managing prestigious residential estates, blocks of apartments and commercial property. We need to let you know that as a business of Chartered Surveyors, SHW is regulated by its Governing Body, the Royal Institution of Chartered Surveyors. It abides by the Residential Management Code of Practice, approved by the Secretary of State of England and Wales, under the terms of Section 87 of the Leasehold Reform Housing and Urban Development Act 1993. The company is also regulated in the conduct of insurance business by RICS. 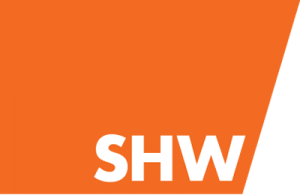 SHW is a Corporate Member of the Association of Residential Managing Agents, which promotes high standards of management. Members are also obliged to hold professional indemnity insurance and observe a Code of Practice. Newhall will now be managed by Michele Gallagher and Laura Ritchie from SHW’s London Office. Michele is a Senior Property Manager who comes to Newhall with a wealth of experience having been in Residential Property Management for almost 30 years. Laura is an Assistant Property Manager and is very quickly learning the ‘Newhall ropes’. If you have any comments, queries or issues, please contact Michele or Laura. SHW carries out the day-to-day management of Newhall and appoints service and maintenance contractors. We also collect service charge contributions from all leaseholders and freeholders and our Client Account team works closely with Michelle and Laura. Michelle and Laura visit Newhall each week to carry out inspections with contractors and ensure that they are working diligently and meeting specifications. This applies to repairs and other management matters. Michelle and Laura also prepare and issue specifications for contracts, such as landscaping. Internal communal areas of Copper Tower and Park Apartment buildings. Each year, your Service Charge contribution is paid quarterly in advance on the first days of January, April, July and October. The service charge year starts on 1st January. Your Service Charge Co-ordinator is Mrs Val Harman, SHW’s Head of Client Accounting. She oversees the accounts for Newhall and works closely with the management department. SHW is upgrading its accounting software, which means you will be able to directly access your property and accounting records online. This will allow you to check personal details and any arrears at your convenience. At present, SHW accepts Service Charge payments by telephone, using a credit or debit card. Once the upgrade has been completed, you will also be able to pay online. At the start of each Financial Year, 1st January, a Service Charge Budget is prepared and a Service Charge Invoice is raised, in accordance with the terms of your lease or freehold transfer. When you receive your annual Service Charge Invoice, you will also have a copy of the annual Service Charge Budget, with a detailed breakdown of services and costs. You will receive requests for quarterly payments some four weeks before the payment due date, to allow time for us to answer any queries you may have. Residents’ quarterly contributions go into the Service Charge Fund, which pays service providers and maintenance contractors. This is the only income available to cover the cost of services and maintenance. So you can see how important it is that we receive service charge payments on time. Methods of paying your Service Charges are detailed on the reverse of the invoice. The Service Charge Fund is certified at the year end and accounts are produced to Trial Balance. Then, Service Charge Statements produced by independent accountants are sent to leaseholders and house owners. If expenditure has exceeded the start of year estimate, then an additional levy may be needed to balance the books. This could be offset against any reserves accrued from previous accounting periods if surpluses have been added to reserves. Should expenditure be less than the estimate, a credit balance will be shown in accounts and individual Tenant Account Summaries and carried forward to offset future expenditure. All Service Charge monies held by SHW, as Managing Agent, are placed in designated and separate Client Bank Accounts, bonded by the RICS Clients’ Money Protection Scheme. If you intend to sell your property, then please let us know when you put it on the market (this is actually a legal requirement at Newhall to help us keep the estate as you chose it). You will need to give us details of the date of completion. This tells us when your responsibility for Service Charge payment ends and when your purchaser’s liability for payment begins. Should you sell during the period for which the Service Charge has already been invoiced, then you need to pay the full amount yourself and have your Solicitor claim the appropriate share from your purchaser. If you are a new buyer, your solicitor should have apportioned your service charge payment between yourself and the vendor according to the date of completion. Are you thinking of Sub-letting your property? Sub-letting your property is permitted. However, under the terms of your Lease, written consent is required. Please contact your Property Manager with this request. Also please note that sub-letting of your property must be under an Assured Shorthold Tenancy Agreement. To allow us to keep our records up to date, it would also be appreciated if you provide details of the Letting Agent and telephone number of your tenant in case there is an emergency. For your convenience, we have included and Application to Sublet Form here. We advise on and calculate the Annual Estate Service Charge Budget. Items may include public liability insurance for common external areas, grounds and landscape maintenance, and building repairs to communal external parts. We collect Service Charges in accordance with your lease or freehold transfer documents. We pay contractors for works to the common external areas of Newhall. We maintain financial records and prepare year-end accounts for independent compilation and certification. We organise and supervise repairs to structures, plant, fixtures and fittings at Newhall in accordance with the terms of leases and transfer deeds. We produce detailed specifications to invite competitive tendering for carrying out annual maintenance contracts for work such as landscaping. For larger ‘capital’ works, we appoint building surveyors to specify and tender the works competitively on our behalf. When appropriate, we also give Consultation Notices to comply with Landlord and Tenant legislation. We carry out regular inspections and meetings with contractors at Newhall. We arrange buildings, engineering, mechanical & plant and public liability insurance for the property. This is done by our own Insurance Department when requested by the freeholder. We also arrange Leasehold Legal Expenses Insurance. This policy meets the cost of the Management Company should it have to defend an application made to the Leasehold Valuation Tribunal by a leaseholder or freeholder.